How To Customize Blogger's Comment Box? 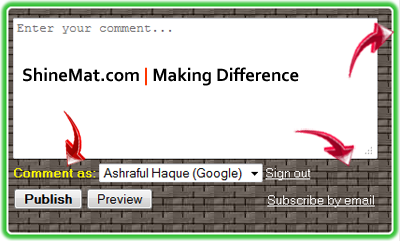 Home > Blogging > How To Customize Blogger's Comment Box? Eye catching designs are really great for attracting concentration and generating web traffic. You are a blogger and I am sure you must notice that blogspot’s comment box is not well designed to look. Huh! So what, today we will decorate our blogspot’s comment box. With CSS codes I do this creative and hot design for blogger’s comment box. With this trick you can match your blogger blog comment box design easily with your blog theme color and background. 9. Now hit Save Template, and you are done. 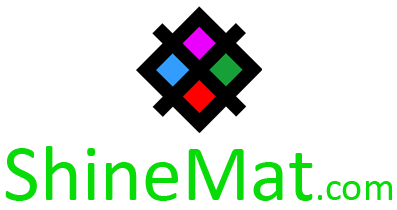 ● Replace IMAGE LINK GOES HERE with your selected background pattern URL. ● To change Comment as: text color just replace F2EF09 with your color code. ● If your comment box does not fit properly with this codes then simply change width:400px to adjust as per your wish. That's all for today. In my next post I will share some background pattern for blogger comment box. How to submit sitemap to Bing and Yahoo? Can your provide some comment design for some professional design for my blog ?? @ASP Have you checked this post? If you still need any help, ask me.